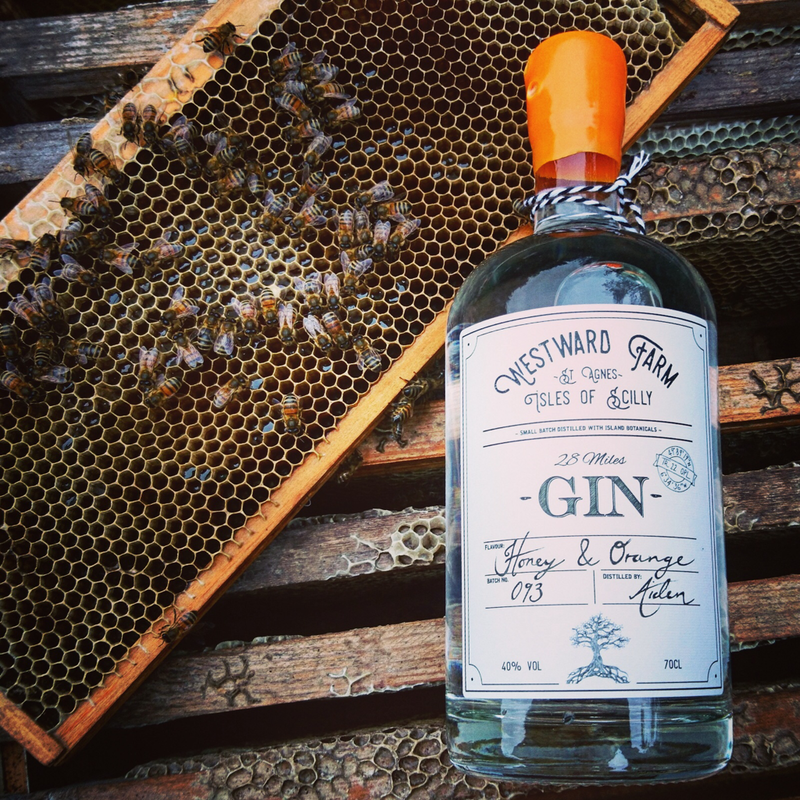 Our Scilly gin brings together some of the worlds finest botanicals, from Java and Africa to our own fields. We gently vapour infuse them with a pure grain spirit in tiny batches, producing just 28 bottles at a time, ensuring that none of the amazing flavours are lost. Our small batch, single shot technique means that each batch is subtly unique, extracting the best of each botanical. ​This is a fresh vibrant gin with citrus, juniper and peppery notes that is perfect with a top quality tonic or in a cocktail. We have been growing and distilling rose geranium for it's essential oil at Westward farm for many years. We absolutely love it and really wanted to use it in a gin. We extract the geranium as a single botanical, then blend it with our Scilly gin in a perfect marriage of juniper and geranium. A warm floral spirit that really showcases the beauty of rose geranium. ​We love this gin straight up with a wedge of lime, on the rocks..... or on the beach in the sunshine. It equally holds it's own in a G&T. 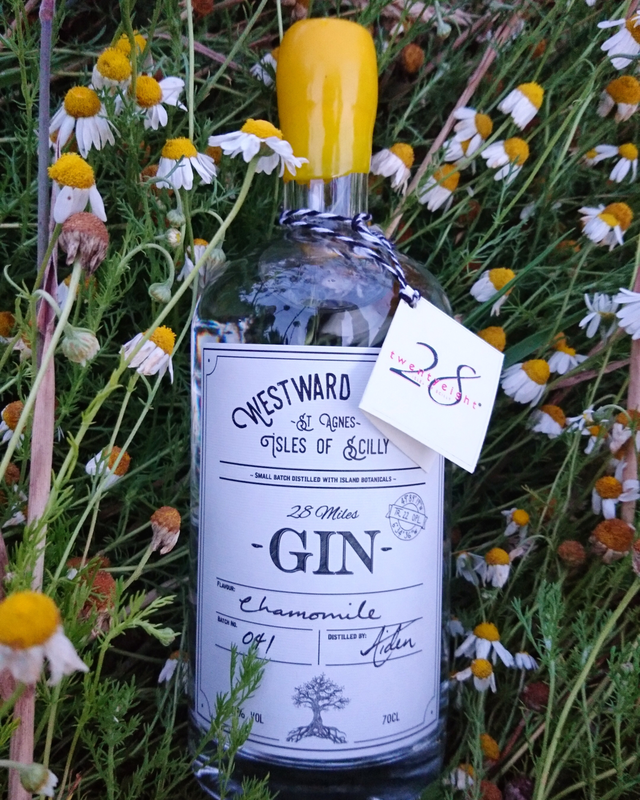 ​Our 28 miles gin is a constantly evolving seasonal gin that showcases the botanicals that we have growing throughout the year. We grow a range of plants for their essential oils which we use in our 28 miles soaps and cosmetics. We match these home-grown, local botanicals in our still with others from around the world for a range of interesting, flavoursome gins. Our 28 miles gin is a constantly evolving seasonal gin that showcases the botanicals that we have growing throughout the year. We grow a range of plants for their essential oils which we use in our 28 miles soaps and cosmetics. We match these home-grown, local botanicals in our still with others from around the world for a range of interesting, flavoursome gins. St Agnes' Wingletang Downs are named after the 'Whins' of gorse and 'Tangs' of kelp that are found there. 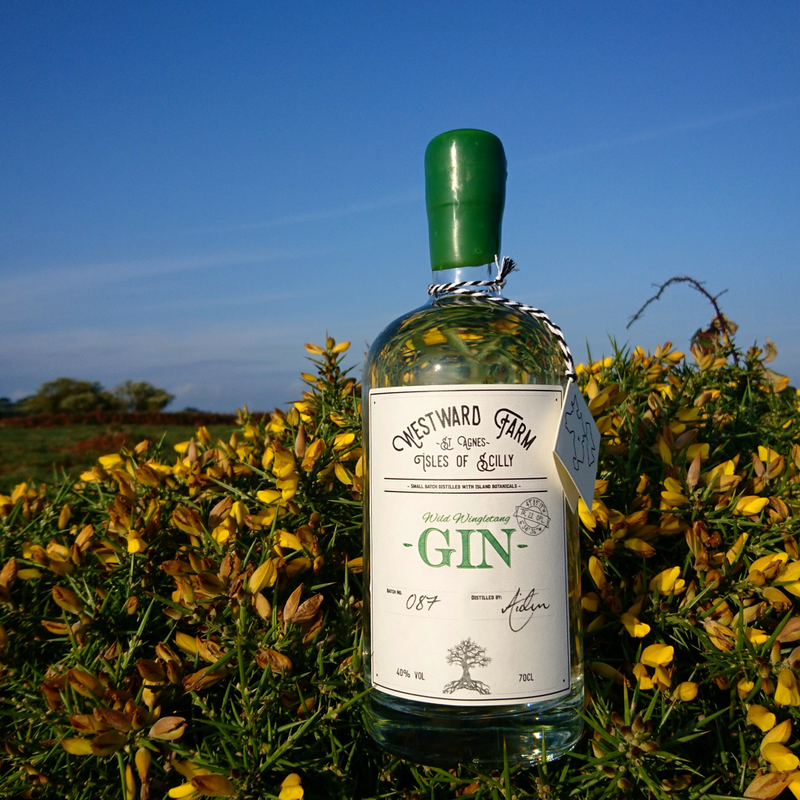 We wanted to capture the amazing aroma of the gorse in the glorious Scilly sunshine. To do this we collect gorse blossom on a sunny spring morning and distil them as a single botanical in a vacuum. This means that we can work at a low temperature so that none of the fantastic flavour is spoiled.​ Green, nutty notes come through from the gorse blending perfectly with the spiciness of our other botanicals. This is a gin that really stands out and is equally as good straight up with some ice as with a quality tonic. 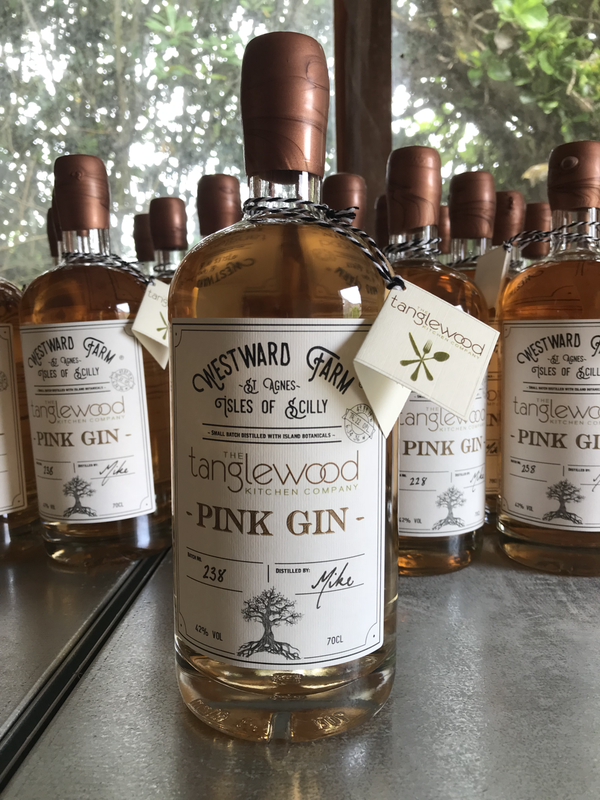 Westward Farm and Tanglewood Kitchen have teamed up to bring you this special pink gin, traditionally coloured with Angostura bitters. Pink gin’s history comes from the Royal Navy in the 1800s when Angostura bitters was added to gin and given to help prevent seasickness. It soon made it ashore and became a popular drink in high end establishments. This is a spicy gin with mace, Szechuan pepper and a hint of lim. Traditionally served straight over ice with a twist of Leon zest, we also love this pink gin with well chilled tonic and a twist of lime. Exclusively available here and from Tanglewood Kitchen. 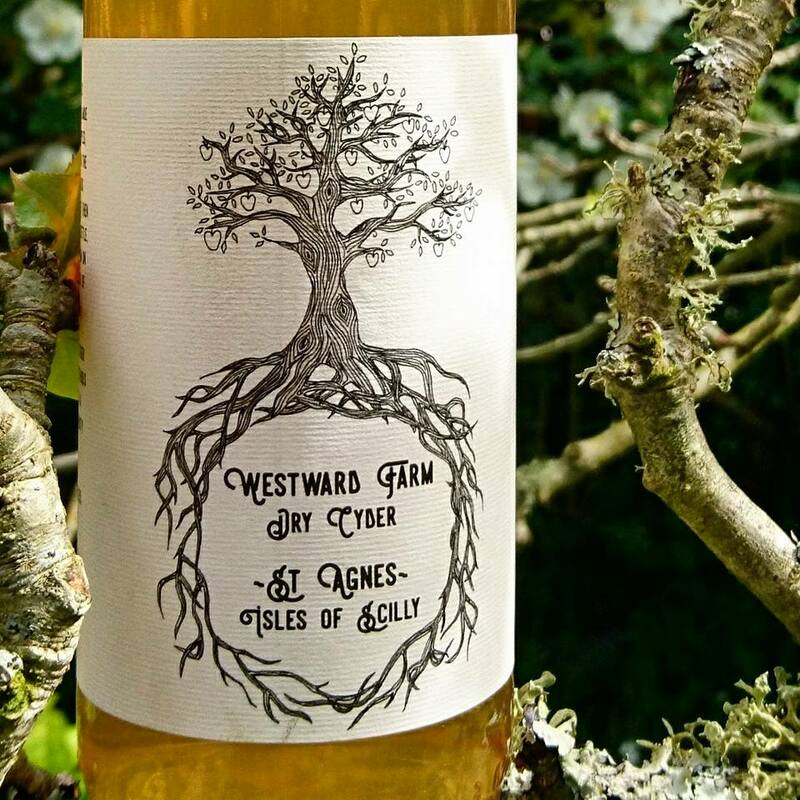 ​We produce our cyder using traditional methods and blend it for a balanced, fresh, fruity flavour. We currently have just one type of dry cider available but over the next year or 2 as our heritage varieties start producing we hope to bring you a range for all tastes! ​Only the finest apples, left to ripen on the tree, in the glorious Scilly sunshine make it into our apple juice. All apples are hand picked and sorted before being pressed and blended on our tiny farm for a fresh, fruity juice.